Bill Knutz and his bands supplied the Beadle County, South Dakota area with dance music for more than 20 years. 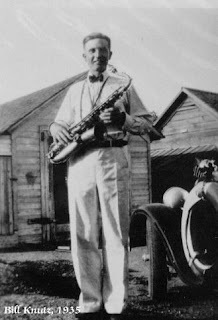 The first band, “Bill Knutz and His Harmonians,” was documented as early as the summer of 1934, and consisted of Bill playing saxophone, his brothers Howard on bass fiddle and Richard on drums, Raymond Christensen on fiddle and trumpet, and Ray’s beautiful sister Lillian, on piano. Lillian would eventually become Bill’s wife. Ray and Lillian’s brother Clarence, who played clarinet, joined them sometimes as well. Bill’s mother, Elvirta Knutz, handled their calendar for them. Howard and Richard Knutz both eventually left for the west coast, and Raymond went off to college, so Bill reformed the band around himself and Lillian, with various other local musicians. 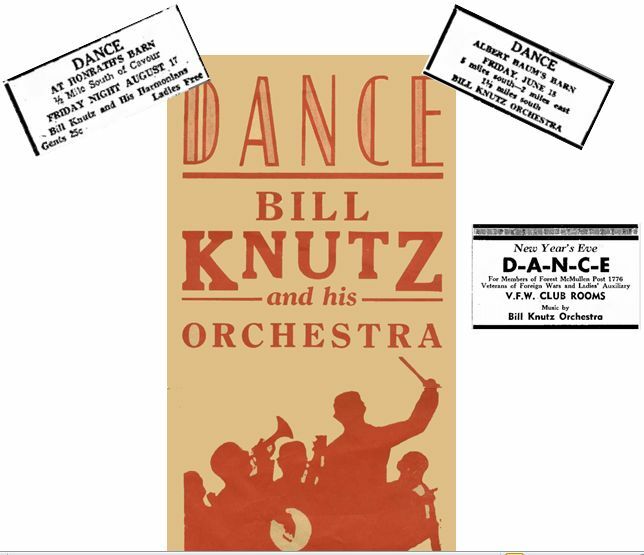 The new band was called “Bill Knutz and His Orchestra,” and they continued to play at barn dances as well as regular venues. His daughter, Betty, described the dances: “Most barn dances were usually quite crowded! Depending on the popularity of the bands, but most of them took turns at different places each week. The crowds were ordinarily quite sizable since most everyone did bring their kids, baby sitters and grandparents. Everybody came! Teenagers came with their parents to learn to dance. Other kids depending on their ages brought their toys, pillows, etc., whatever they wanted to play with. And then they found a corner to fall asleep in! Some of those little guys were pretty good dancers, too!” During the years of the Great Depression, barn dances were affordable ways to have some fun. Occasionally, younger members of the family would get a chance to showcase their own musical talents. Bill’s younger sister Dorothy, and his daughters Betty and June would sometimes join the band to sing. Nearly 120 tunes are among the several set lists played by the band. When, exactly, Bill Knutz and His Orchestra stopped playing isn’t clear, but one of the songs on that list was from 1953, making their run at least 20 years. The newspaper ad for Albert Baum’s barn dance was from the Daily Plainsman of 17 June 1937. The ad for the VFW Club was from the Daily Plainsman of 31 Dec 1948, pg. 5. 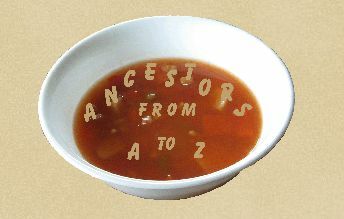 Interview with Bill and Lillian’s daughter Betty, about 2002. Betty also noted that her sister June played Hawaiian guitar and sang second soprano, while Betty had a Spanish guitar and sang Alto. Bill’s sister Dorothy sang soprano. The three girls would get together and practice songs.